WASHINGTON — After a shooting at a synagogue in Pittsburgh that killed 11 people and injured six others, D.C. Mayor Muriel Bowser has ordered heightened police presence at synagogues throughout D.C. In a statement, Bowser said she will be reaching out to faith leaders to offer support and guidance. The Diocese of Arlington showed its support for the victims and their families in a statement issued by Bishop Michael F. Burbidge, calling the tragedy a “a demonstration of unbelievable hate and bigotry. In show of solidarity, Maryland Gov. Larry Hogan also sent out a statement on Twitter, saying the state has reached out to offer help to Pennsylvania. 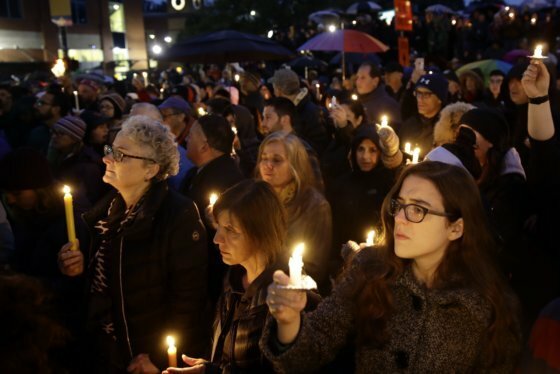 Melanie Nezer with HIAS, a Jewish organization that helps refugees, said that what happened in Pittsburgh is a reminder of how important it is to stand up for American and Jewish values. Nezer said that HIAS’ mission is to find safety for people such as refugees, and that safety was shattered for those inside the Pittsburgh synagogue. Doron Ezickson with the Anti-Defamation League said that he’s heartbroken over what has happened and afraid that these types of violence will become normalized. 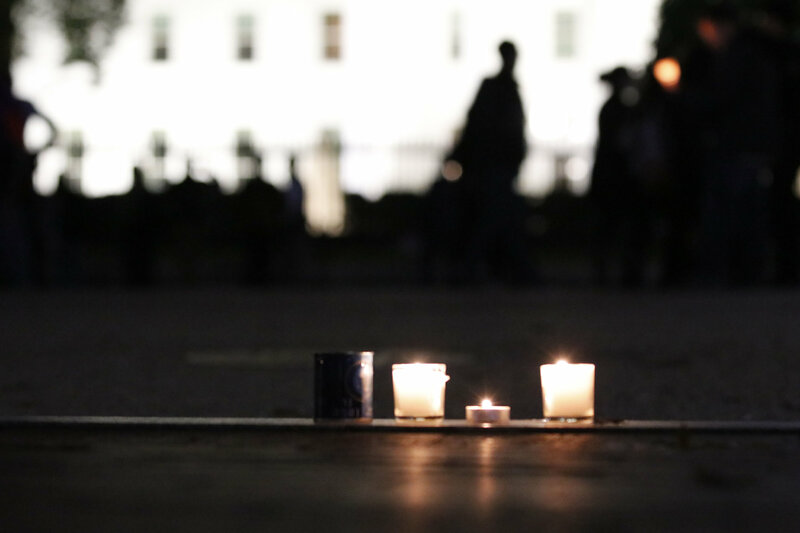 Outside the White House groups of people gathered for a candlelit vigil Saturday. Jessie Mark, of D.C., said that she’s absolutely devastated at what happened. She grew up three blocks from the Tree of Life synagogue, and it was always one of the safest places in the world. Todd Rosenberg, of Bethesda, said that his family’s sabbath was interrupted when the news broke out. His aunt taught at the synagogue for many years. “We all just have to watch out for each other and learn to love each other and accept each other for who we are, whether we’re different religions or different races,” Rosenberg said. WTOP’s Liz Anderson contributed to this story.